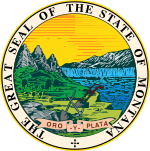 The 1936 United States presidential election in Montana took place on November 3, 1936. Voters chose four representatives, or electors to the Electoral College, who voted for president and vice president. ^ There are some internal differences between these sources used to compile this table, so the figures given may not be perfectly exact.